Not long before the Montagues and the Capulets were battling it out in Verona, the Brembati and the Albani were having their own problems 70 miles away in Bergamo. The Brembati-Albani clash involved fewer star-crossed lovers and vials of poison, however, and instead turned on its protagonists’ opposing loyalties to Spanish or Venetian rule. But if the Bergamo feud was less romantic than its Veronese equivalent, its end was no less bloody, and, in 1563, one of the Albani family’s servants killed Count Achille Brembati as he prayed in the city’s Church of Santa Maria Maggiore. 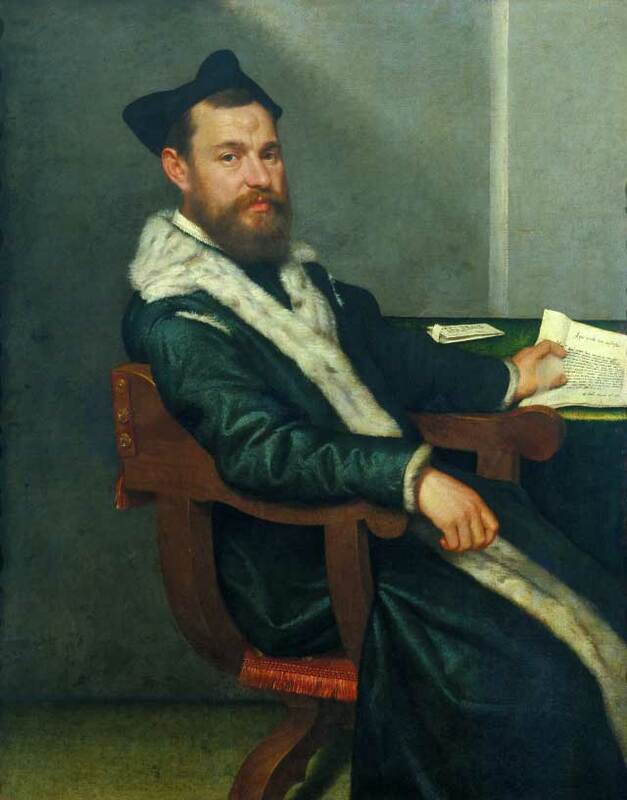 After the murder, the Albani were forced to leave Bergamo forever; but today the two families have been reunited on the walls of the Royal Academy, where they again come face to face as part of Giovanni Battista Moroni. Moroni was Bergamo’s leading painter at the height of the Brembati-Albani dispute, and by the mid-1550s had cornered the portrait market of the city’s high and mighty. 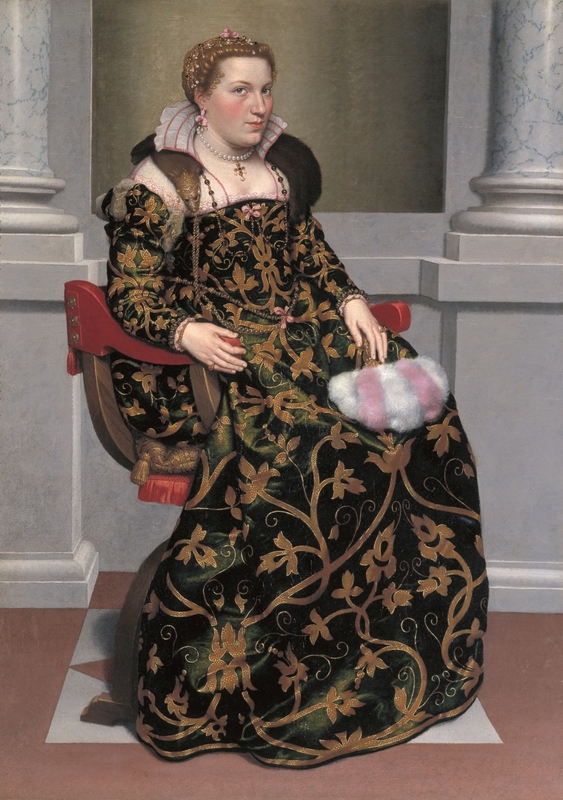 But mindful of his next commission, he was not one for taking sides: in 1553 he painted Isotta Brembati, two years later he was painting Lucia Albani and her husband, Faustino Avogadro, then in 1560 he took on Gian Gerolamo Grumelli, who soon after married Isotta. Isotta and Lucia hang opposite one another. Resplendent in their Sunday best outfits, they drip with jewels, holding their fancy fans. The aim is clear: to look as important and as rich as possible, and Moroni has risen to the challenge. Who can miss the pink and white Ostrich feathers of Isotta’s fan, the golden-faced ermine around her neck, or the splendour of Lucia’s gold-shot silk? The portraits of the husbands are no less flamboyant: Faustino is in his military gear, an enormous feather poking from his hat and an even more enormous plumage rising from the shiny helmet by his side, which must have seen as many battles as Lucia’s golden fan. 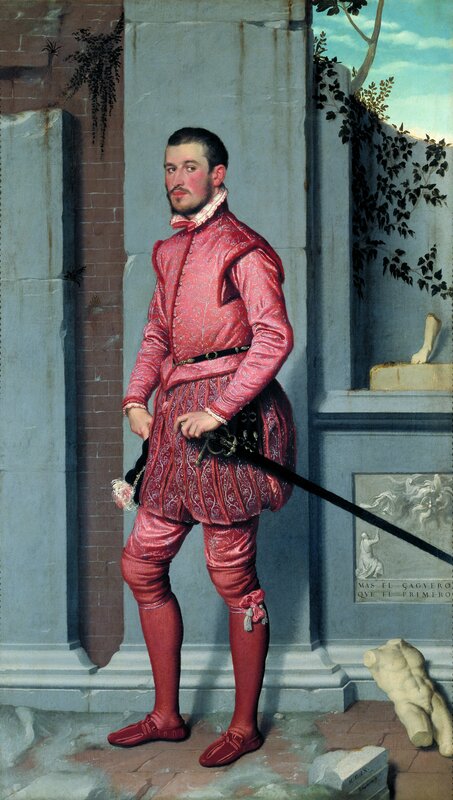 Not to be outdone, Gian Gerolamo is head-to-toe in pink, and holds a sword so long it cannot fit in the picture. After the Brembati-Albani feud came to a head in 1563, Bergamo’s political climate changed. Venice sought to tighten its grip on the city and Moroni, perhaps alarmed by the unsettled state of affairs and concerned that his rich vein of patronage was drying up, left the city. But rather than heading for Venice, Milan or some other Italian political and cultural centre, the painter returned to his native Albino, a small village not far from Bergamo. And it is this which goes some way to explaining why Moroni, one of the best portrait painters working in sixteenth century Italy, is comparatively unknown. Because apart from a short period in Trent during the early sessions of the Council of Trent, Moroni spent the majority of his career in the provinces. In this respect he resembles the Urbino-bound Barocci, another overlooked artist of sixteenth century Italy, who was the subject of a National Gallery retrospective last year. Because if you are not painting your quota of Popes, Doges, and princes, and instead remain in small-town Bergamo – and even tiny-village Albino – it is hard to get into the annals of art history. Moroni’s cause was not helped by Vasari’s decision to bypass Bergamo when compiling his Lives of the Artists, nor by the misattribution of so many of his portraits to bigwigs such as Titian and Veronese. 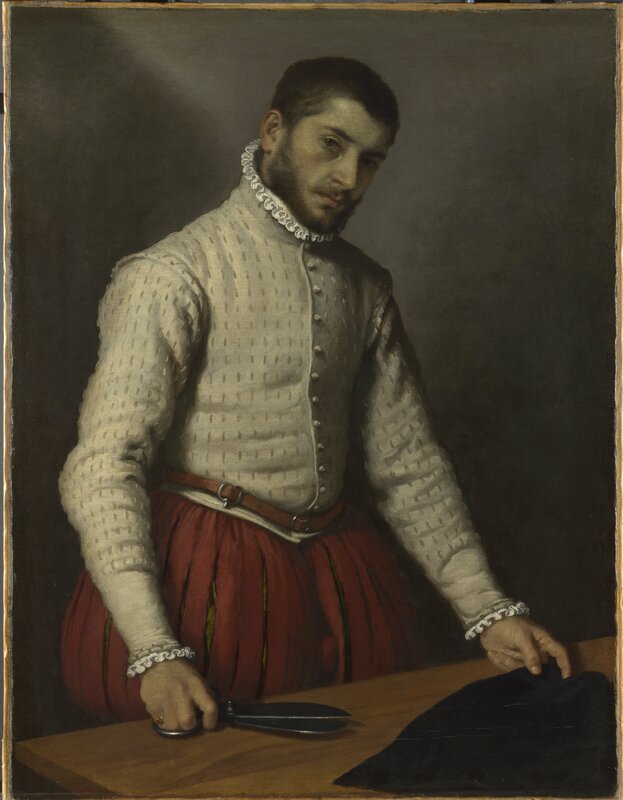 Today’s exhibition is the first major consideration of the artist in Britain (a small exhibition was held at the National Gallery in 1978), but interestingly, it is the Brits who have been admirers of Moroni all along. 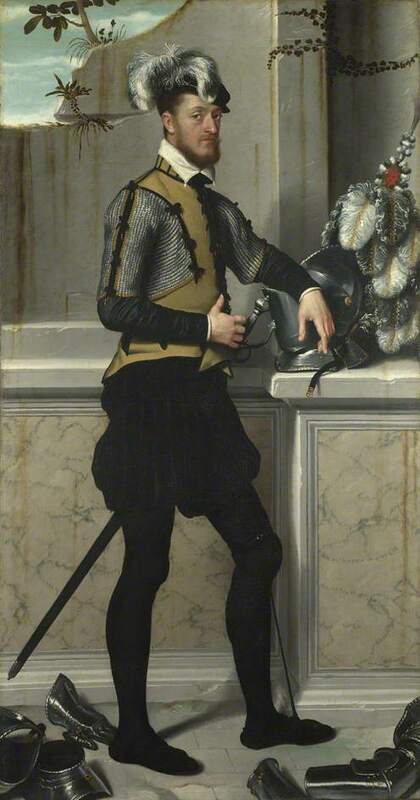 In the seventeenth century Charles I was a fan, and it was Sir Charles Eastlake who kicked-started the National Gallery’s own collection of Moronis, with his acquisition of The Tailor in 1862. When Eastlake made his purchase, his wife wrote in her diary, “This will be a popular picture”. She was right, and the picture has become one of the artist’s most famous works. The subject of the portrait, however, is a long way down the social scale from the likes of Isotta and her crowd. In painting a mere artisan, Moroni broke with convention and the picture, in all probability, represents the first portrayal of a labourer in Italy. Not that this particular worker looks much like your common wage-slave: he is exquisitely dressed in pantaloons and ruffles, and it seems unlikely that those smooth, manicured hands ever get too dirty. Moroni’s return to Albino triggered a gradual downwards shift in the social makeup of his sitters, although it would be wrong to say that once he settled in his native village, his aristocratic commissions stopped or that while in Bergamo, he only painted the city’s grandees. But in portraying members of the bourgeoisie or the clergy, it is as if Moroni has been liberated. Gone are the showy full-length state portraits set against artificial backdrops of classical ruins; instead Moroni positions his subjects in front of a dim, plain background and sets about exposing their essence. 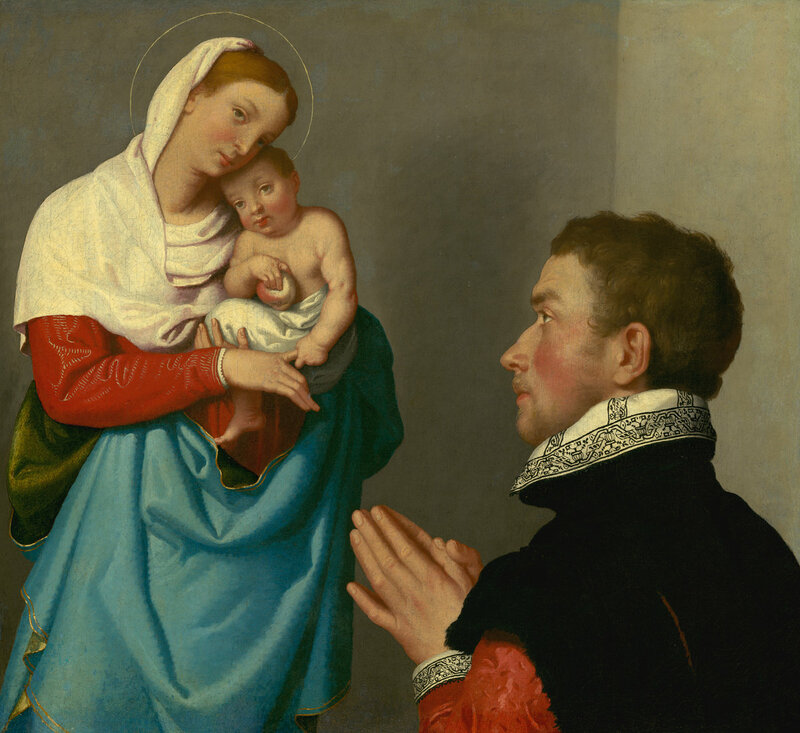 It may be that he was friends with some of these people, or perhaps it was the intimate head and shoulders format – the average burgher could not afford a pricey full-length picture – but in his smaller paintings, Moroni achieves a deeper penetration of character. One half expects his Lateran Canon, fleetingly turning his head to face us with just a hint of a smile, to climb out of the portrait and start a discussion on the reform of the Catholic Church (Portrait of a Lateran Canon (Basilio Zanchi? )); and although the youthful, yet assured, subject of Portrait of a Young Lady might well be posing for the first time, here is a lady with ambition, who will not be waiting long before her next venture into oil. Bernard Berenson may have found “these people… too uninterestingly themselves,” but gathered on the gallery’s walls, they seem to form a society: these are real people, dead now for some 450 years, but preserved by Moroni, warts, lumps, personality defects and all. Berenson has missed the point, as he also did when he labelled the artist Italy’s “only mere portrait painting”: a good proportion of Moroni’s output was religious and among the pictures on display, are a range of altarpieces and private devotional aids. 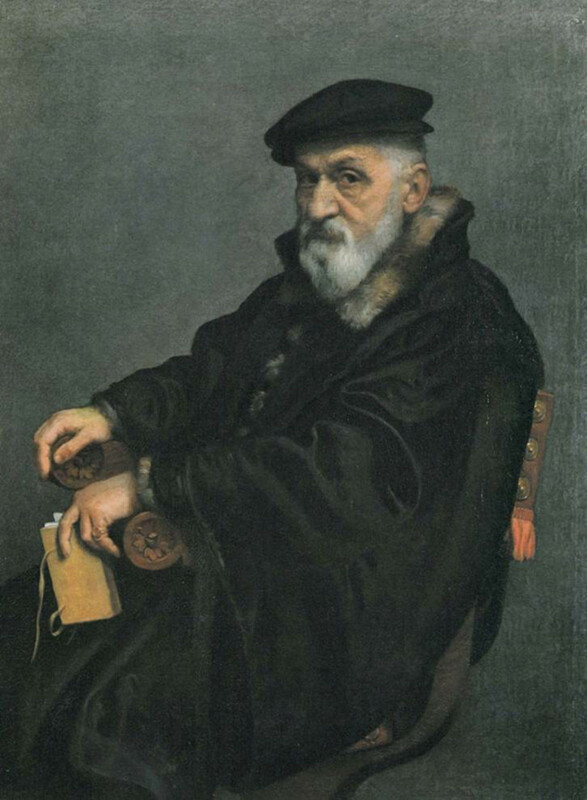 While in Trent during the 1540s and 1550s, Moroni had learnt the principles of the Counter-Reformation and towards the end of his life, when he took on a commission to re-do a series of local altarpieces according to the Council of Trent’s standards, his religious works overtook his portraiture. The Catholic Church did not lay down exact stylistic laws as to how devotional art should be represented, but the subject of religious imagery was keenly debated in Trent. Out went exaggerated, overdramatic imagery (hence Veronese’s troubles with his monkeys and jesters); instead works were to be pious, restrained and, above all, accurate. Accuracy, however, did not just mean a faithful rendition of the subject matter; it also meant a faithful representation of the subject. 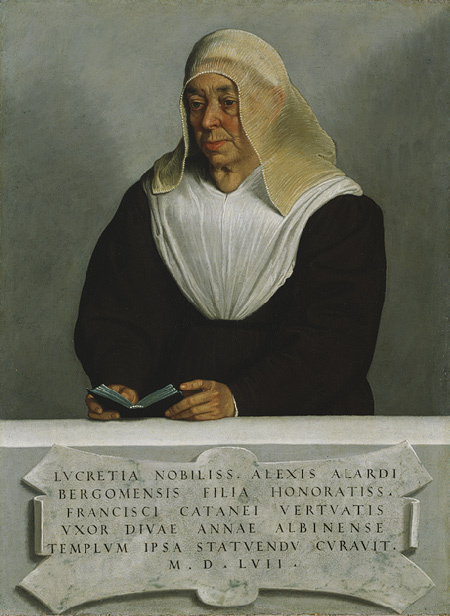 And so when Moroni painted Lucrezia Vertova Agliardi, the foundress of a monastery, he does her no cosmetic favours: this is the real old-age deal. The Virgin Mary in his Gentleman in Contemplation Before the Madonna and Child, fared better and has received a quota of idealising air-brushing; she, however, is the vision in Moroni’s painting, which marks a new artistic genre, uniting portraiture and religious imagery in one picture. St Ignatius of Loyola, a leading figure of the Counter-Reformation, would have approved, for it was in his Spiritual Exercise (published in 1548) that he encourages worshippers to kneel in prayer, while envisioning some important chapter in the life of Christ. The ideas of the Counter-Reformation consolidated Moroni’s preoccupation with realistic representation, but his predisposition towards naturalism had its roots in both the work of his teacher, Moretto, and prevailing styles in sixteenth century Lombardy. 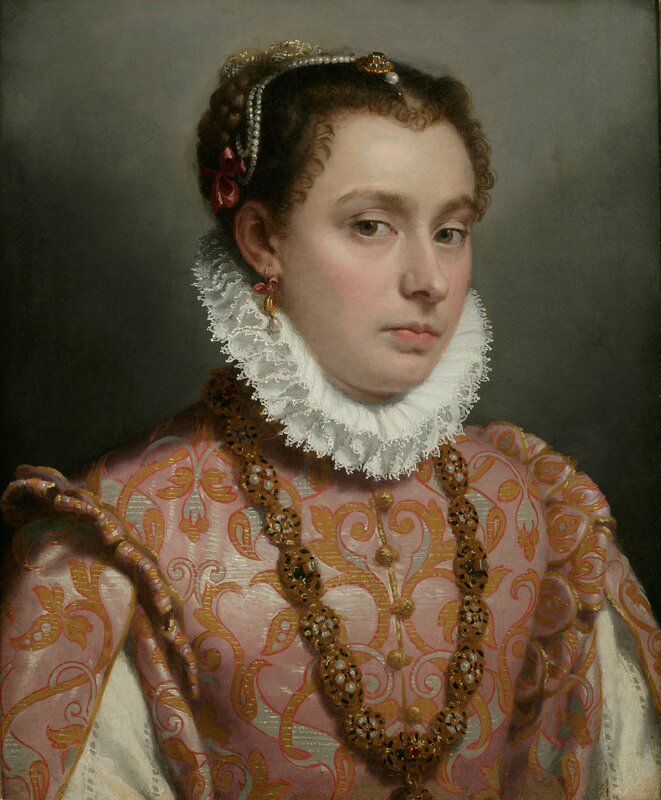 Moroni was working during the height of the Renaissance movement, when art had begun to divide into two distinct channels, one – maniera – which represented an ever-widening gap between art and life, the other a direct expression of reality. Mannerism was winning, however, and in his staunch adherence to realism, especially in portraiture, Moroni was exceptional. Who can blame the aristocrats and professionals, who were paying handsomely to record their image for all posterity, for wanting to look their best, even if that best involved a degree of bodily embellishment. But the humanity of Moroni’s pictures, his ability to capture character and his exquisite handling of colour and form, meant the commissions rolled in. 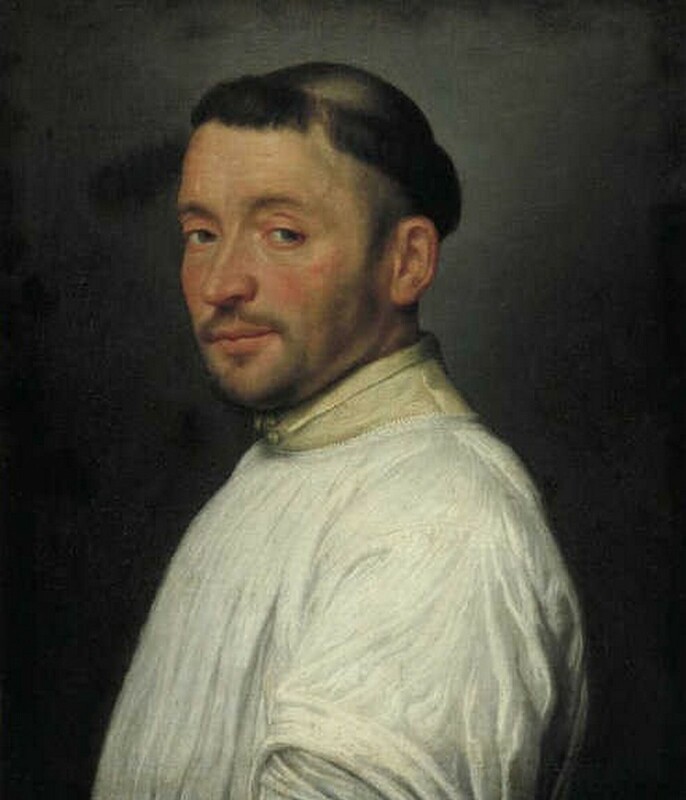 And if there is no guarantee that his sitters did look exactly like their painted images, one can be sure that, had the painter been in the business of flattery, he would have chosen to ignore the frightening cyst on the forehead of the doctor (Portrait of a Doctor (“The Magistrate”)), overlooked Faustino Avogadro’s gammy leg or fined down the matronly waist of Isotta Brembati. 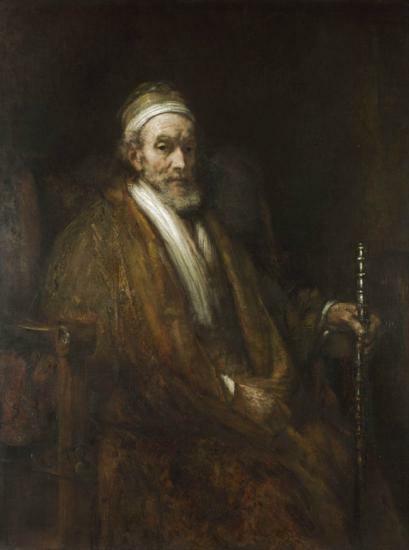 It is a happy coincidence that on show less than a mile down the road at the National Gallery, are a selection of some of Rembrandt’s later portraits. Moroni was working in a different century, a different country, a different era. Yet there is plenty of overlap between the two painters: the haute bourgeois sitter, the plain, dark background, the seated, three-quarter pose, the penetration of character, the intimacy. And it is not just Rembrandt who springs to mind, but also Caravaggio, Velazquez, Ingres, Manet and Degas. Hiding away in the provinces, Moroni has managed to dodge the glare of celebrity. Although a good proportion of the works displayed are on loan from the world’s major galleries – the National Gallery, Washington’s National Gallery of Art, the Met, the Uffizi, and so on – as many pictures have come from Bergamo and around, where they have probably always been. 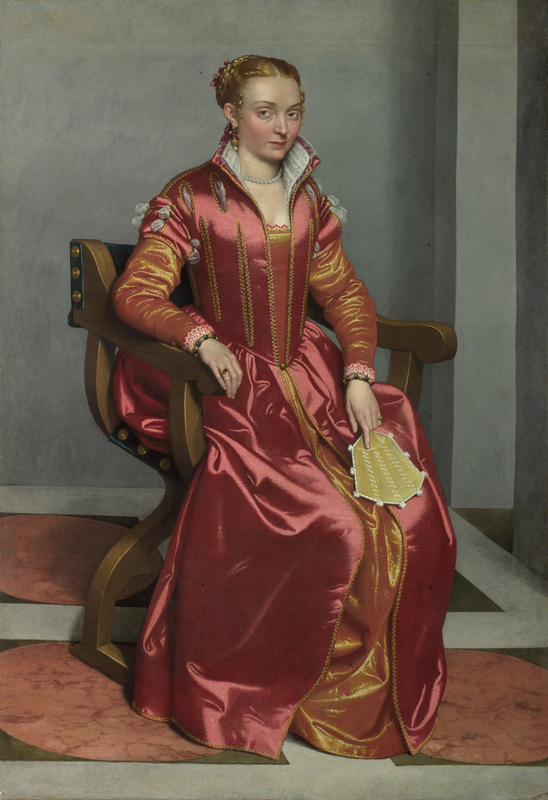 The majority of paintings included in this show are in unusually good condition and one cannot help concluding after a few moments with Lucia, Lucrezia, Faustino and the rest, that when it comes to Moroni, Vasari missed a trick. This entry was posted in Exhibition features and reviews, Features, Reviews and tagged Exhibition review, Italian Renaissance Painting, Moroni, Portraits, Royal Academy, Sixteenth Century Painting. Bookmark the permalink. Nice review. I’m glad you enjoyed the exhibition; I certainly thought it was very refreshing. I know how long it takes to write these reviews and I want you to know that this reader certainly appreciates the effort you make. Thank you so much for your kind words… it is deeply reassuring to know that not all my traffic is spambot! I have been blown away by some of your beautiful photography – I particularly loved your village poppies (and really hope they were waterproof! ).